The United States Senate plans to use procedural maneuvers to technically stay in session even when Senators eventually go home for the Labor Day recess. Their intent is to prevent President Trump from making any unwelcome recess appointments while they are away. 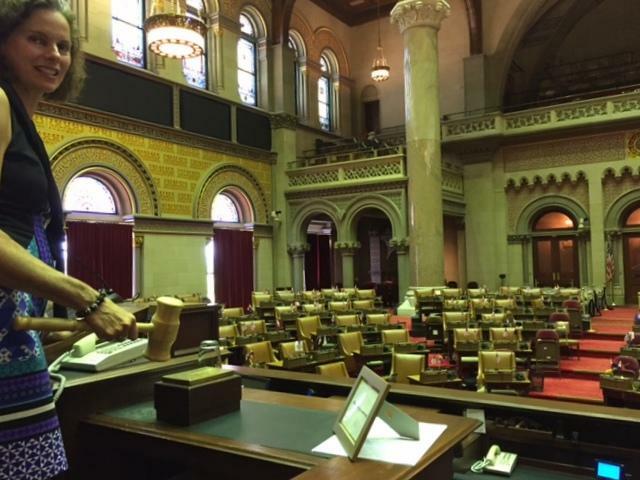 In Albany, NY taking steps to keep the legislative chambers open is nothing new. Assemblywoman Patricia Fahy stands on the podium in the vast Assembly chamber. She bangs the gavel, and begins what sounds like an ordinary day in the state legislature. “Visitors are invited to join members in the pledge of allegiance,” Fahy says, then recites the pledge. But there’s one big difference - all 150 seats in the chamber are completely empty. When Fahy, from Albany , was elected to the Assembly in 2012, she learned that part of her duties, as the member living closest to the state Capitol, would be to gavel in a “session”, every three days or so, and recite a one-minute long ritual, to, essentially, no one. There is one legal witness. An Assembly clerk is called in to make a note of the proceeding. “I thought ‘you’re kidding right’?” sad Fahy who admits “it can be little lonely” late on a Sunday night when the Capitol is empty. But she says, just like in the U.S. Senate this summer, there’s an important reason for the ritual, to maintain the Assembly’s autonomy. The practice of holding a continual session in the Assembly, as well as in the State Senate, began in 1978, under then-Governor Hugh Carey. Carey used the legislature’s annual recess to appoint a prisons commissioner that he knew Senators would reject. Lawmakers have never let a governor have that chance again. On a summer weekday Fahy’s task is not much of a burden. Her legislative office is across the street and she lives a couple of miles away. But she’s had some challenges. Snowstorms, for instance. “I did have a car accident with the very first snowstorm in late December, driving down on a Saturday morning,” she said. “I skidded in the snow. That was a very costly gavel." After that, she bought snow tires. Fahy does get a break from the duty, for instance, when she goes on vacation. Other local Assemblymembers from the surrounding suburbs are happy to fill in. And while she doesn’t get any extra pay for her efforts, she says it’s not about the money. “As inconvenient as it can be sometimes, I do remind myself it is something that's very serious and it’s an honor,” Fahy said. She bangs the gavel again, saying “this house now stands adjourned." She’ll do it all over again in three days. 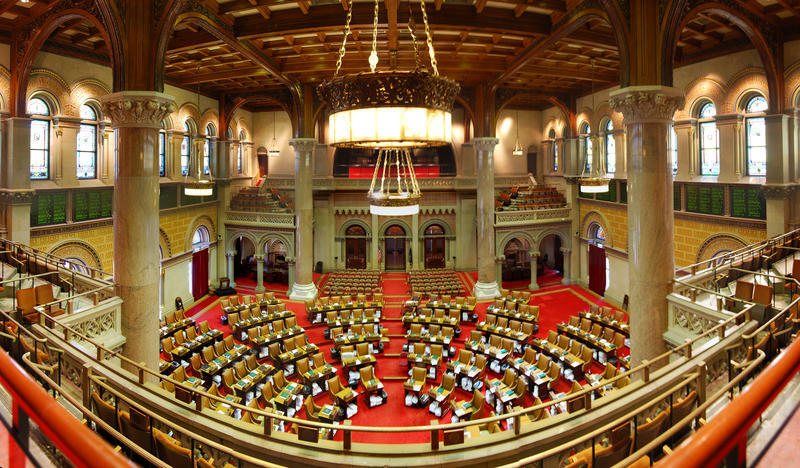 The New York state Assembly Minority says its members will pursue lower taxes, tackle upstate unemployment and demand government oversight for the remainder of the state legislative session. It’s another day of negotiations at the New York State Capitol today as lawmakers were unable to reach a budget agreement with Governor Andrew Cuomo on Saturday. 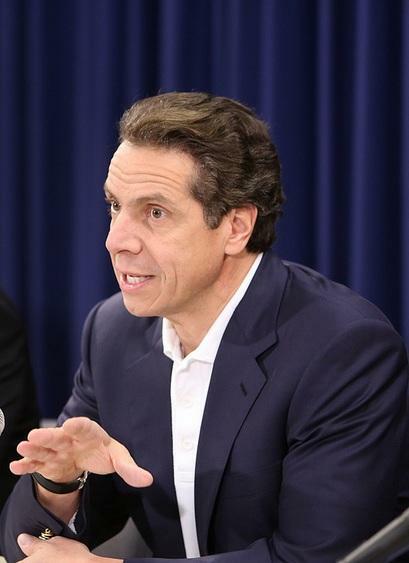 After lawmakers missed the state budget deadline, shortly after midnight Democratic Governor Andrew Cuomo said he would grant the legislature a grace period over the weekend. 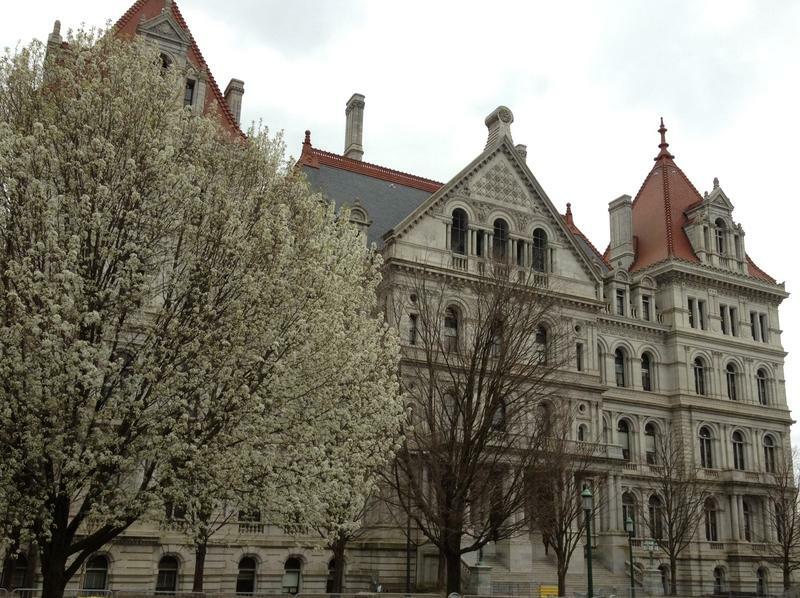 Governor Cuomo and New York State lawmakers missed the budget deadline. With the midnight deadline just over two hours away, they had so far failed to solidify deals on state spending and taxation, as well as some unrelated items like permitting ride hailing services outside of New York City. 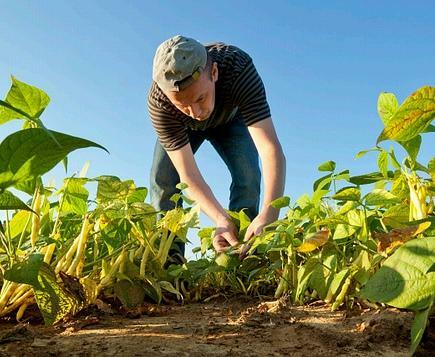 There is money in the New York State Assembly budget concerning a carbon farming initiative. The Assemblymember behind the effort says she hopes the Senate and governor share her enthusiasm.